This week at the Bowl, Strauss & Kreisler entertains an appreciative L.A. crowd. 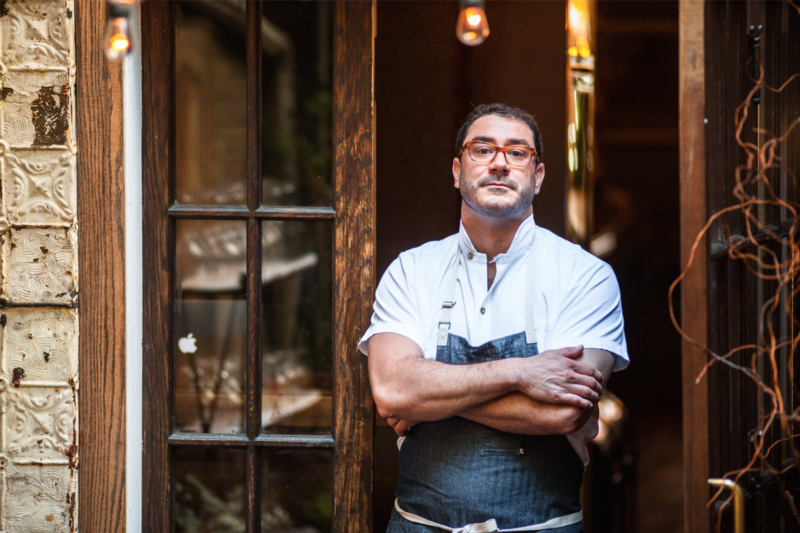 Picnicking suggestions are courtesy of chef Francis Derby, a veteran New York chef who polished his craft with Big Apple luminaries Willie Dufresne and David Chang before drawing enthusiastic crowds at The Cannibal. 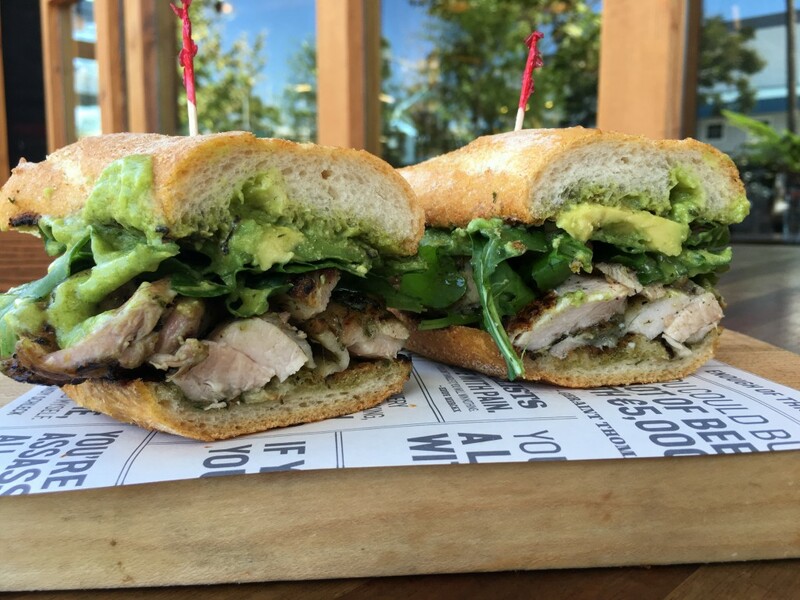 Recently opening the restaurant’s new Culver City location, Derby works wonders with his signature meat-centric menu, balanced against a celebration of California produce. There is a time in summer when both tomatoes and peaches reach their finest moment. This salad is perfect for that time. The sweetness of the peaches and the acid from the tomatoes make this salad pop. This is something that every summer I look forward to making—and more importantly, eating. No summer picnic is complete without tomato salad. Cut tomato and peach into large dices. Slice the scallions thin, using both the white and the green parts. Tear the basil into large shards so it almost eats like lettuce. Mix all ingredients together and season to taste with sea salt. This is a simple sandwich that really holds up well when traveling someplace to have a picnic. Wrap them loosely in wax paper for transportation to the Bowl. The avocado chunks bring a great fattiness while the celery in the remoulade provides a nice crunch. Finely dice the celery stalks. Cut avocado in large chunks, about ½-inch. Gently fold all ingredients together, trying to leave the avocado in large chunks. Toss chicken with spices, lemon juice and zest from the lemon and olive oil. Let sit for 30 minutes to marinate. Grill chicken until cooked through, approximately 4 minutes on each side. Slice chicken thighs and lay out on bread. Top with avocado remoulade as well as arugula. Squeeze lemon juice over sandwich filling. Wrap in wax paper, and enjoy with your music! Strawberry shortcake is always a great dessert during strawberry season. 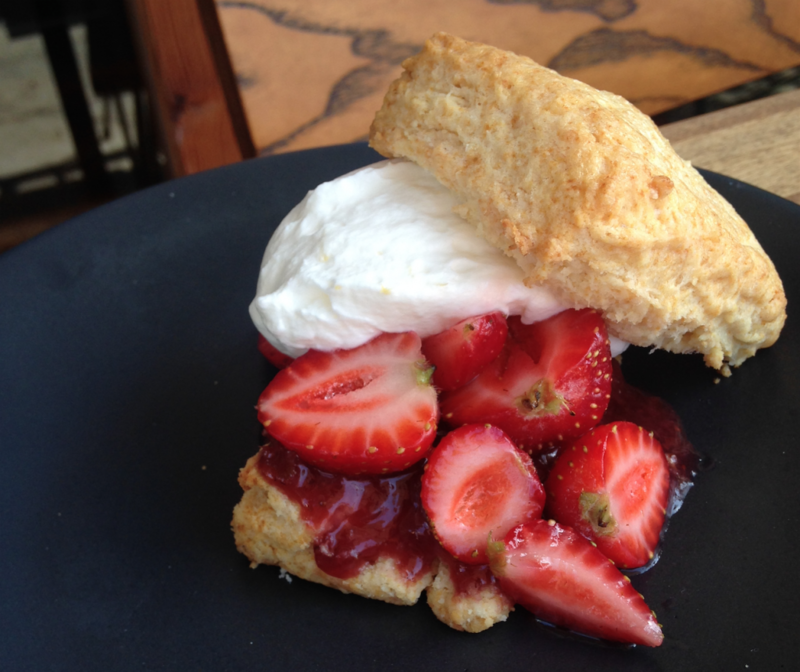 We always have bacon fat around the restaurant and this biscuit uses that and takes on a slight smoke flavor that works so well with the sweet strawberries and whipped crème fraîche. Combine all ingredients in a mixer and whip with whisk attachment until soft peaks. Wash strawberries in water, remove stems and cut in half. Sprinkle strawberries with sugar and salt and toss. Let strawberries sit for at least 10 minutes until they become juicy and saucy. Using your hands, cut the bacon fat into the dry ingredients until it is pea-sized and you can still see some chunks. Add half the cream and gently fluff it into the mixture. Add rest of the cream and continue to mix just until dough comes together. Scoop out dough on to a sheet tray with a 3-ounce ice cream scoop. Brush biscuits with heavy cream. Bake at 375°F until golden brown, about 15 minutes. Celebrating Principal Concertmaster Martin Chalifour’s 20th season at the Bowl, this program features him performing favorites on Fritz Kreisler’s own Strad. And the opulent sound of the horn is featured in luxurious music by Richard Strauss. Ludovic Morlot leads the LA Phil in an exciting evening of dance featuring three dynamic L.A. dance companies which will bring to life the works of three outstanding L.A.-based composers. The powerful rhythms of Stravinsky’s Ritecomplete the program.